This model is designed for playing steel guitar, lap style. 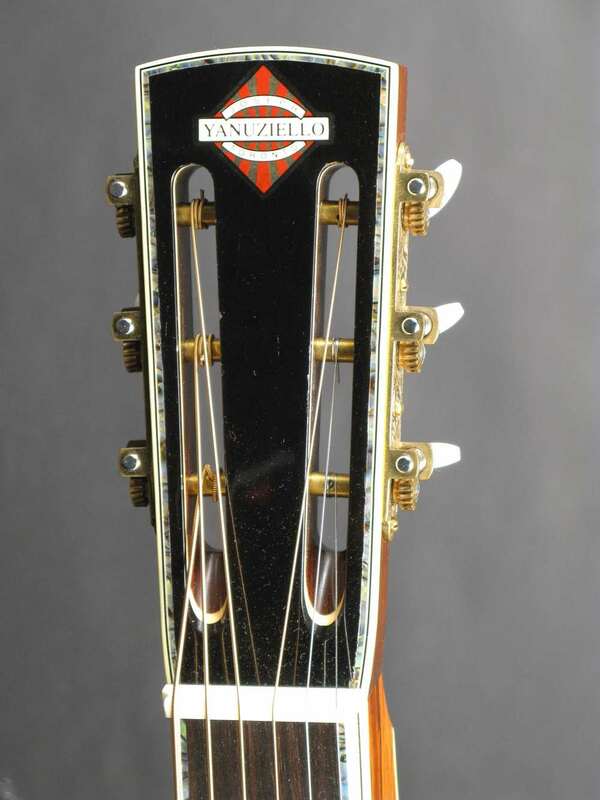 It has a hollow neck chamber all the way up to the headstock. I build these guitars with an increased body depth, which enhances the bottom end. The over all tone is closer to the voice of a high quality flat top. 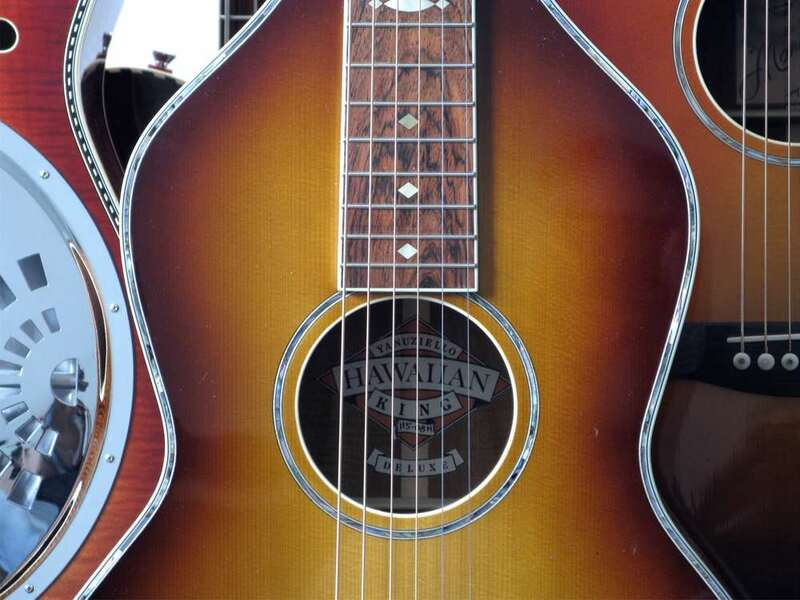 All of my acoustic Hawaiian models sport a slotted headstock, with Waverly tuners. 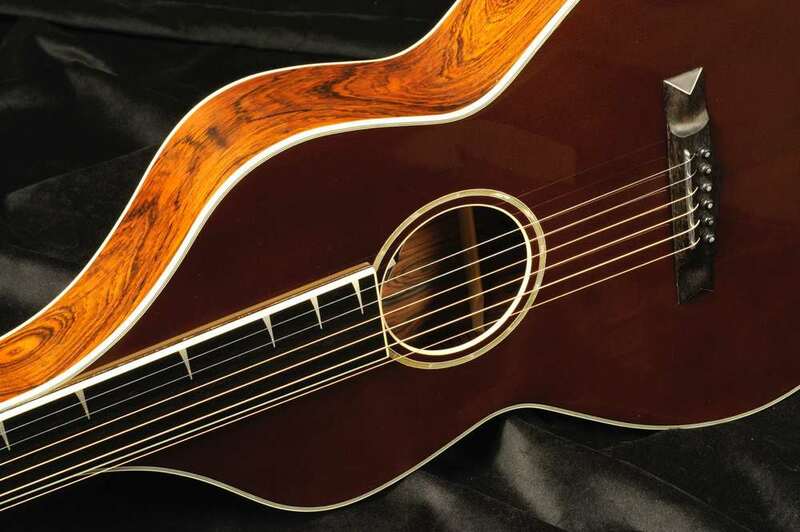 Wood choices for these instruments include, curly koa, mahogany, and curly maple. For tops, curly koa, sitka spruce, adirondack spruce and western red cedar. Many finish options available, as on all of my instruments. I also offer a scaled down electric version of the Hawaiian King. As on all of my electric instruments, the body is hollow, and the square neck on this model is chambered. It's available with either one or two Fralin single coil pickups. A solid peghead is stock, with a slotted peghead as an option. The wood and colour options offered on all of my electric instruments are also available on this model.